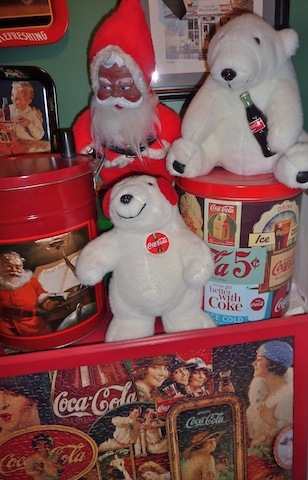 While I’m a retail consultant and author on retailing, I’ve been collecting Coca-Cola memorabilia now for almost three decades. In fact I’ve had to go outside my home to store most of it. I didn’t buy it all myself. My dad worked for Coca-Cola for over 40 years as a driver. 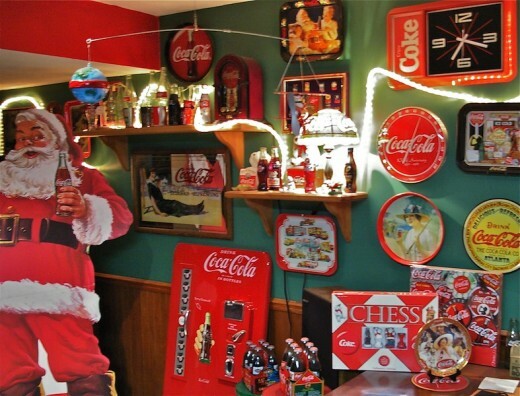 As a result he accumulated a collection of Coca-Cola memorabilia few could match. More importantly, much of his collection came from accumulating items that were created to increase sales or promote the product directly. 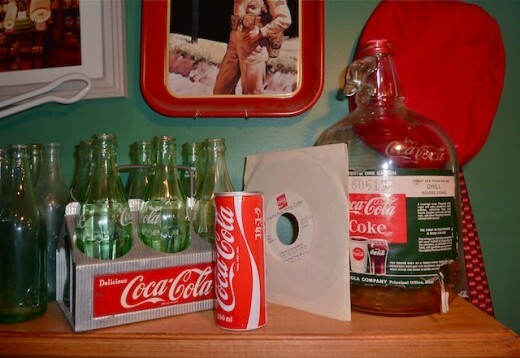 These were not the items that are created today by the millions as “Coca-Cola collectables. My dad would come home with Coke trays that the company gave out. Once in a while he’d be given a clock by a supervisor or manager at the plant. One of the more interesting things he told me was that Coca-Cola used to print out large colorful tin signs for the drivers to nail up anywhere they could find a spot. He said that Coca-Cola was putting these signs out in such great quantities that a lot of the drivers couldn’t find places to put them up fast enough. Unfortunately, many of these drivers would dump the signs somewhere, because they didn’t want to be coming back to the plant with signs still on their hands. This story just made my mouth water as a Coke collector. When you look at the prices people are paying today for tin signs that were put out in the 30’s 40’s, 50’s and 60’s, it’s easy to conclude that there is a small fortune in signs out there that were in mint condition and just dumped, only to rust away to oblivion. Wow! And this relates directly to a point I’d like to make. Today and for years now, millions of products are put out by independent contractors who have no real relationship with Coca-Cola, other than they have gone to Coke and gotten approval to sell their product with the Coke artwork on it. In exchange they pay Coca-Cola a royalty percentage for the use of the name and artwork. Thank goodness there are so many companies out there who want to use Coca-Cola to sell merchandise. Otherwise, we wouldn’t have near the selection we do in Coke merchandise. On the other hand, I do believe that items created and put out by Coca-Cola itself for it’s bottlers, employees, large customers etc., do have value and will continue to be valued. 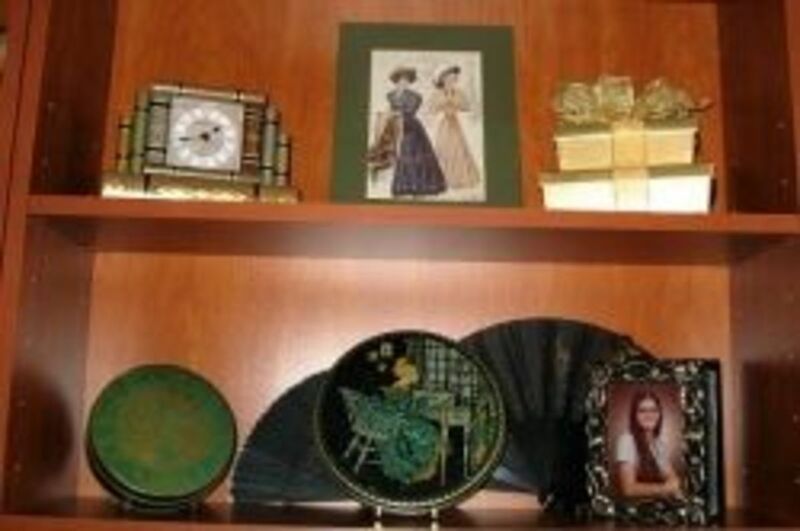 These might be items such special clocks, pins, company awards, lighted signs, sales literature. 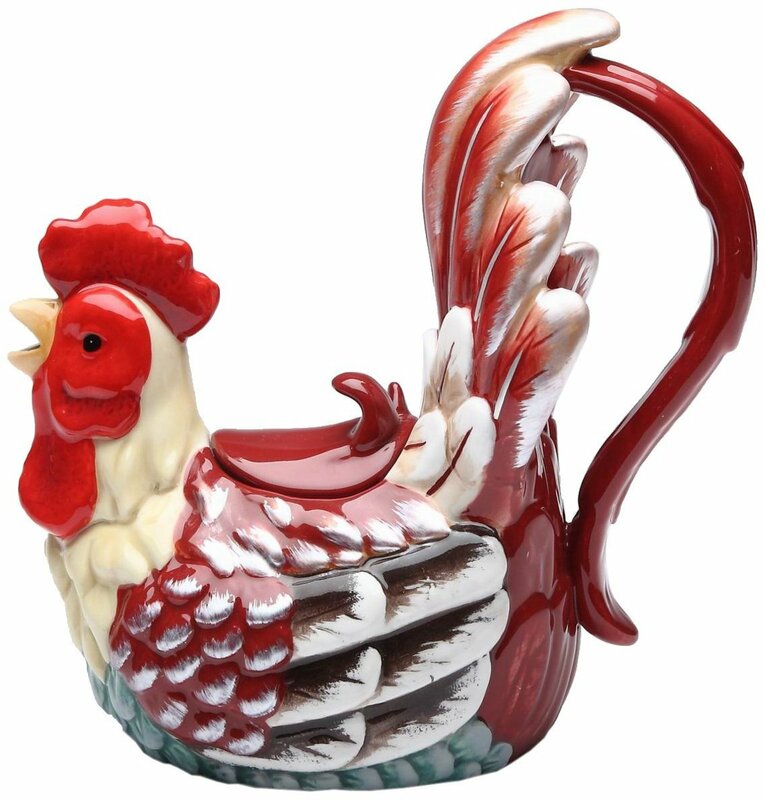 These items are not put out in such tremendous quantities and they are also not put out for the mere purpose of being “a collectable”. 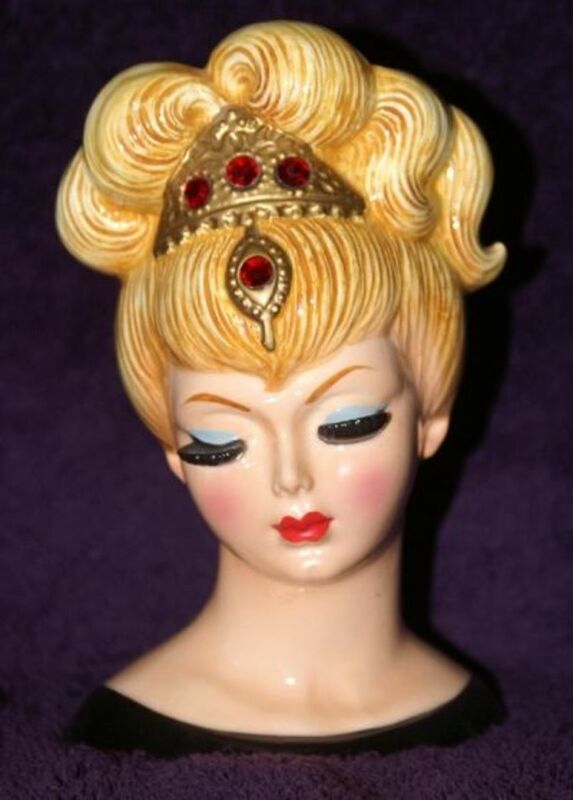 Items like this from the first 60-70 years of the 20th century are in high demand. 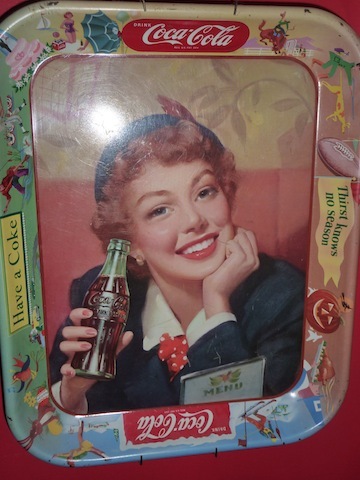 For example, the most valuable Coke trays in general are those that were issued before people collected them. They had no printing on the back that referred to them as collectables, as they do today. During the early 70’ my family and I went on vacation to Georgia and Florida. My dad decided he wanted to see the corporate home and main syrup plant for Coca-Cola. He was always proud of the company he worked for and would not drink a Pepsi no matter, the situation. In restaurants when they told him they had Pepsi, he would ask for an iced tea or glass of water. In our house, Pepsi was a dirty word. Upon arriving at the syrup plant, he and my mom inquired about going on a tour of the syrup plant. For whatever reason, they were told at that time that tours were not being given. I don’t know if this was temporarily the situation or if they just were not given to the public at that time. You could see the disappointment in my dads face. 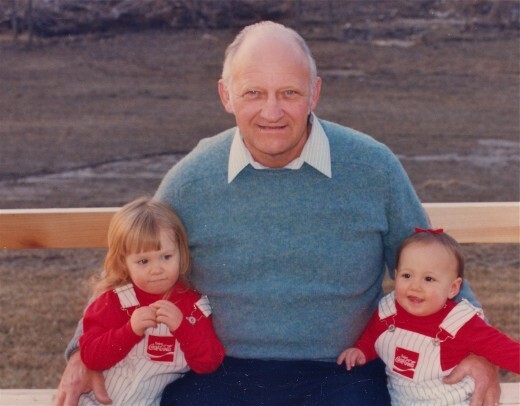 My mom lamented that they had driven hundreds of miles and that my dad worked for Coca-Cola back home. I guess she was just venting her frustration, however as soon as the fact became apparent that my dad was an employee, the whole family was given a very personal tour and my dad was treated like a king. I always thought that was a classy thing to do for just an average driver! Shorty after the bombing of Pearl Harbor the president of Coca-Cola, Robert W. Woodruff issued a monumental and fateful order. 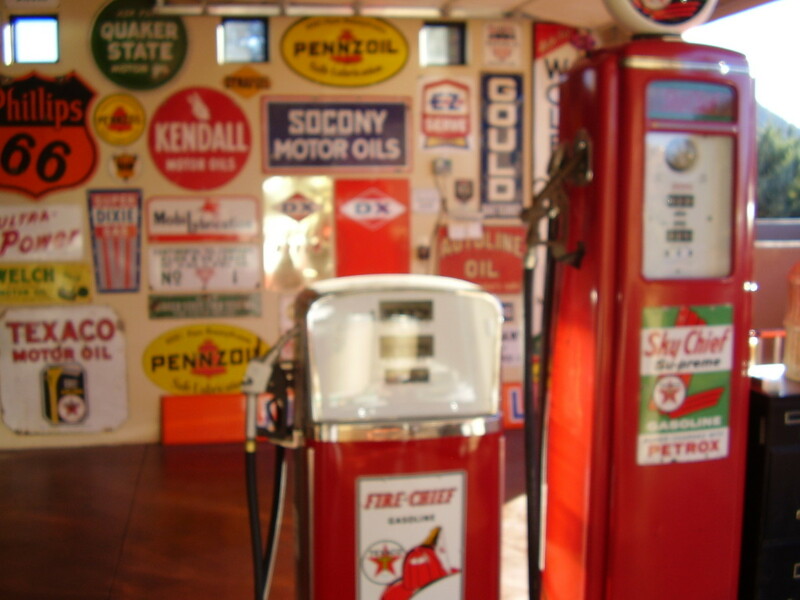 It stated, “We will see that every man in uniform gets a bottle of Coca-Cola for five cents wherever he is and whatever it costs our company.” It was certainly a patriotic gesture, but it was also marketing genius that would seal Coca-Cola’s industry leadership for decades to come. In fact by 1942, Coca-Cola was exempted from the sugar rationing that was enforced by the federal government during World War II. 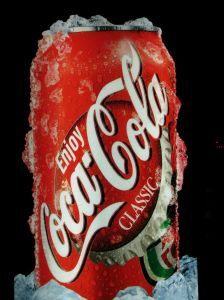 For more on this fascinating history lesson regarding Coca-Cola, read my other hubpage titled,"A Historic and Long Term Marketing Lesson From the King of Marketing. . .Coca-Cola." During the war, sixty-four bottling plants were established on every continent except Antarctica mostly at the expense of the US government. The technicians who installed Coca-Cola plants behind the front lines were considered vital to the war effort. In fact they were given the same priority by the Army as those who repaired tanks or airplanes. The product was also considered just about as important as weapons in terms of military shipping priorities. Patton was said to have considered Coca-Cola as a necessity wherever he traveled, as he insured that Coca-Cola technicians transported one of the mobile bottling plants wherever he went as a part of his military support. This was probably at least partially due to his well-known preference for rum and Coke. Movie stars and celebrities appearing in Coca-Cola ads or singing Coca-Cola jingles have included Joan Blondell, Wallace Beery, Jackie Cooper, Claudette Colbert, Joan Crawford, Edgar Bergen and Charlie McCarthy, Clark Gable, Greta Garbo, Cary Grant, Eddie Fisher, Jean Harlow, Carole Lombard, Frederic March, Maureen O’Sullivan, Randolph Scott, Johnny Weissmuller and Loretta Young, Jan and Dean, Roy Orbison, The Coasters, New Seekers, Beach Boys, The Supremes, Petula Clark, Ray Charles, Aretha Franklin, Joe Namath, and Arnold Palmer. The singers participated in the “Things Go Better with Coke” advertising campaign. 1950Coca‐Cola becomes the first product to appear on the cover of Time magazine. 1961The first feature‐length motion picture to feature Coca‐Cola premieres. Billy Wilder’s comedy “One, Two, Three” stars Jimmy Cagney as the manager of a Coca‐Cola bottling plant in West Berlin during the Cold War. The earliest promotional pieces are the toughest to find. There are only a handful of known items from the 1890’s. If or when you find something from that time period, it will be rare and valuable. There is also a risk of it being a counterfeit. Yes there are counterfeiters even in Coca-Cola memorabilia collecting! There are just enough reproductions out there, to make it somewhat confusing to know what is real. For example, the number of Coca-Cola tray reproductions grows steadily every year. While not manufactured to be counterfeit, the wrong seller may try to take advantage of a novice. The best approach is to educate yourself on the types of items you really want to collect. If it’s expensive, you’ll want to research the item if possible so that you know what you’re buying (even if it’s for the next time you run into the item). The Coca-Cola Company supposedly works to stop counterfeiters, but wherever there is good money to be made you’ll find someone to take advantage! The "Petretti Coca-Cola Collectibles Price Guide" actually includes a valuable section that shows examples of counterfeit and what are called fantasy items, including a series of counterfeit belt buckles that have sold to unsuspecting collectors. 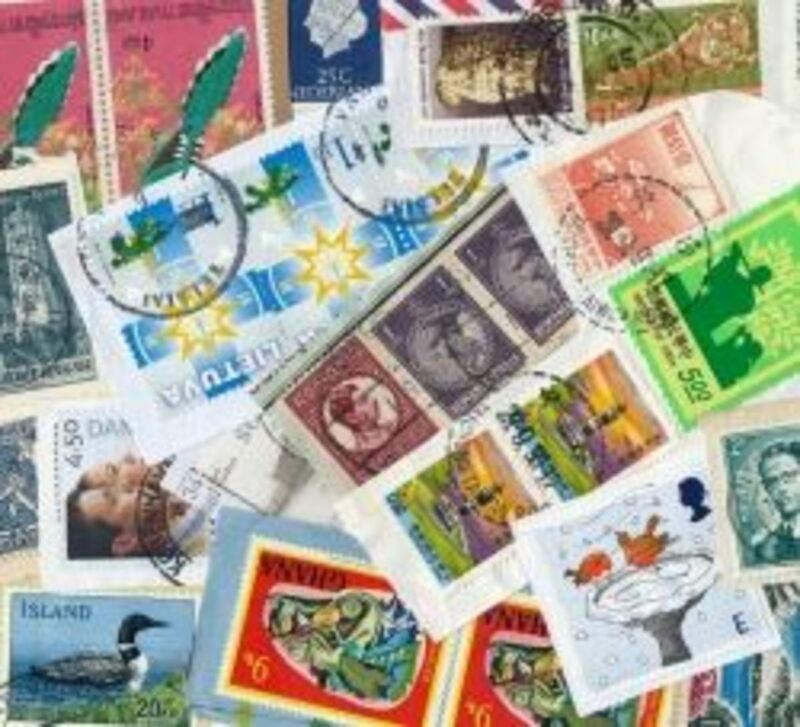 Believe it or not a few of them can even be somewhat valuable! If you are just getting started as a Coca-Cola collector, joining the Coca-Cola Collectors Club is a great idea. There are chapters all over the country which can be found on Coca-Cola’s website. Another good idea is to get a copy of the independent Petretti Guide. This guide will overwhelm you with all there is to collect and it is nowhere close to being complete. 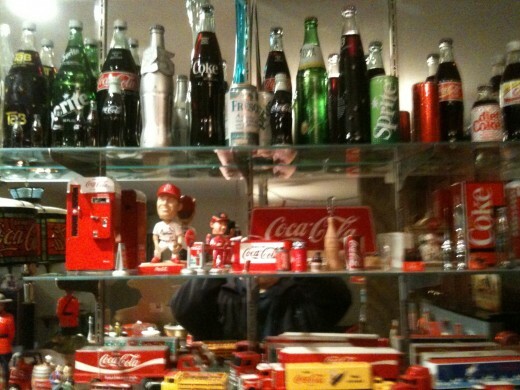 Even Coca-Cola’s museum does not have nearly all of the collectables that have been created. It has over 600 fascinating pages, and is written by Allen Petretti. It has hundreds and hundreds of black-and-white and color pictures inside. 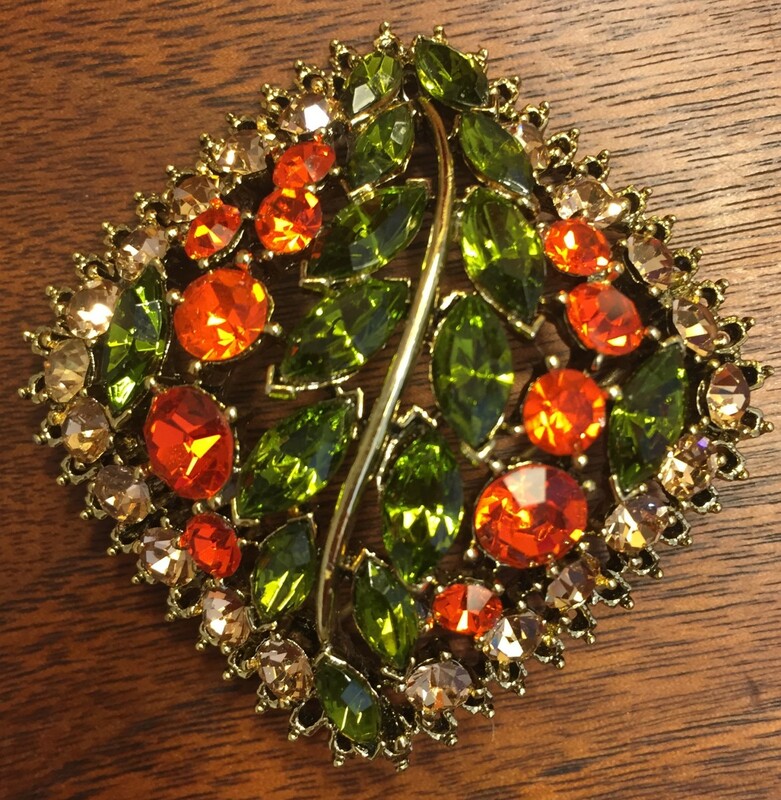 It also offers valuations on thousands of pieces. Just keep in mind the real value of any piece is what YOU can get from a buyer you find. Unfortunately most Coca-Cola price guides do not seem to cover many items issued after about 1970. This makes it difficult for all of us to place a value on many of the most recent items. The good news is that many great and historic collectibles are probably out there still waiting to be collected and no matter how long you’ve been at it, there is always something out there that you’ve never seen before. This is one of the many reasons that collecting Coca-Cola memorabilia is fun and full of surprises. There are thousands of items out there like these! More Trivia . . . If you’re a purist and want to use Coca-Cola with sugar instead of high fructose corn syrup, you can still find it in some foreign countries including Canada and Mexico (also the Bahamas). Some retail chains in the U.S. sell Coca-Cola in glass bottles from Mexico! 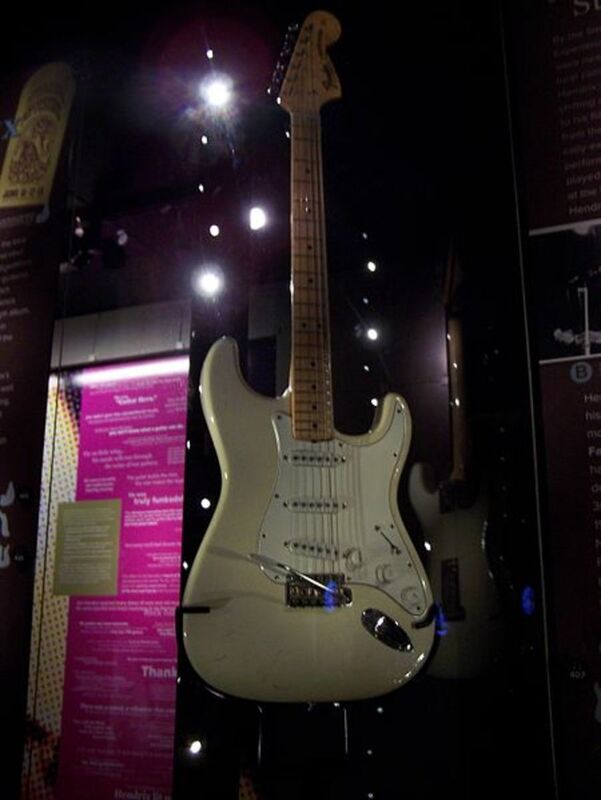 What type of Coke memorabilia do you collect? There are basically three different groups of collectors in my mind. 1. There are those who collect for the sheer fun of it and will collect almost anything they can find and afford. 2. There are those who are very serious, but specialize in one or two types of Coca-Cola collectibles such as bottles or trays. 3. 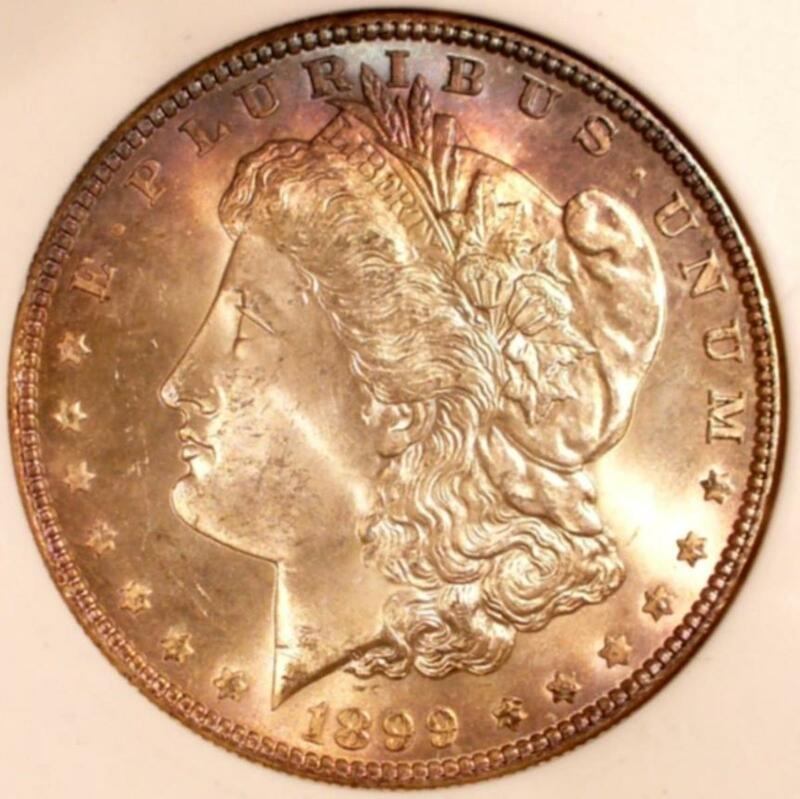 And, there are vintage collectors who have the ability and interest to invest large sums of money for the truly rare old items. Just remember, there is no right or wrong way to collect Coca-Cola memorabilia as long as you are enjoying it. So whether you collect a specific category or two, or just collect anything and everything you can find with the Coca-Cola logo, enjoy the world of the “Real Thing”. Soak the nuts in Coca-Cola for approx 4 hours. Combine the nuts, sugar and butter. Shape into ¾ inch balls and chill for 1 hour. Combine the chocolate and shortening in the top of a double boiler. Heat until melted and smooth, stirring occasionally. Using a wooden pick, dip each ball into the chocolate and place on a waxed paper-lined baking sheet to dry. Chill until they are firm and store the balls in the refrigerator. 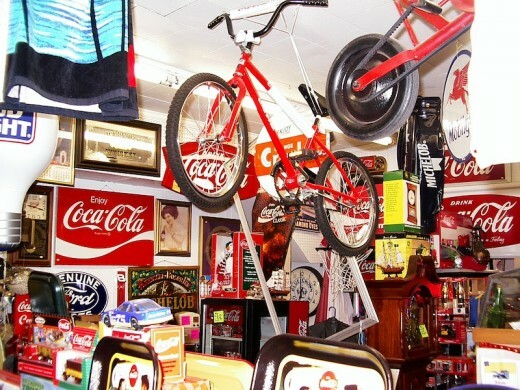 I Am Looking For A Collector To Sell Coke Memorabili To No Success Yet.... Any Ideas? Beautifully prepared and presented website. You have magic in your heart. Great stuff! Fun facts, interesting stories, and great information for collectors. Dad would have loved reading this! This was a very good read Rich.